Velocity will Pay Tribute to the Legendary Carroll Shelby in a three-part mini-series event starting Sunday May 20th. 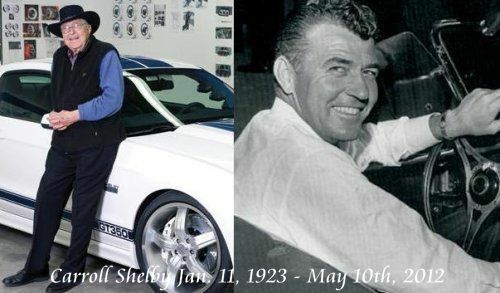 When Carroll Shelby passed away on Friday, May 11th, the automotive world took a collective moment to morn his death. Even though we knew he was sick with pneumonia at Baylor Hospital in Dallas, it was still a shock and brought incredible sadness to anyone who was familiar with his legendary accomplishments. Now, Velocity will pay a much-deserved tribute to Carroll Shelby in a three-part mini-series event starting on Sunday, May 20th at 8:00 PM. The three-part mini-series will be called "King of the Road: Carroll Shelby” and will honor that incredible vision he brought to the automotive world. Each hour-long episode will chronicle an era in Shelby's life: his journey from a Texas farm to the top step at Le Mans where he was the first American to win the cup. Carroll Shelby was instrumental in putting U.S. racing on the map which had long been dominated by European drivers and their cars. After leaving the racing scene, Shelby built the famous Cobra; He then began a partnership with Ford that led to building two of the most iconic American muscle cars; the Mustang GT500, and the road that car followed into the car that still bears his name, the Ford Shelby GT500. Here is a listing of the mini-series from the recent press release. Borrowing the concept from his original Shelby Mustang GT 500 of the 1960's, Shelby and Ford build a boulevard brute with Ford's new big block Mustang. Shelby American transforms the new Shelby Mustang GT500 into the world's fastest production Mustang. This could be the most watched show on Velocity ever aired. Tune in at 8 p.m. EST on Sunday for the first series on the life of Carroll Shelby.